May 22, 2018: Section "Publications" updated. May 18, 2018: Sections "Research Team" and "Publications" were updated. 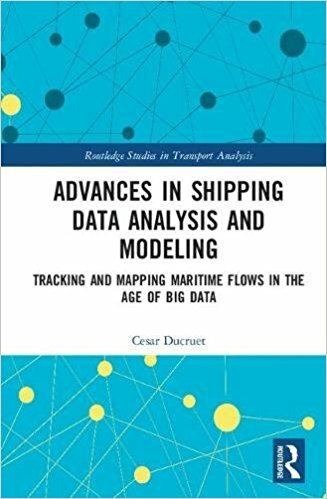 September 30, 2017: The book Advances in Shipping Data Analysis and Modeling: tracking and Mapping Maritime Flows in the Age of Big Data, edited by César DUCRUET, is available for pre-order in the Routledge Studies in Transport Analysis Series. 17-18 May, 2017: GeoSeastems webmapping platform was exposed for public at the third edition of Innovatives SHS fair in Marseille. 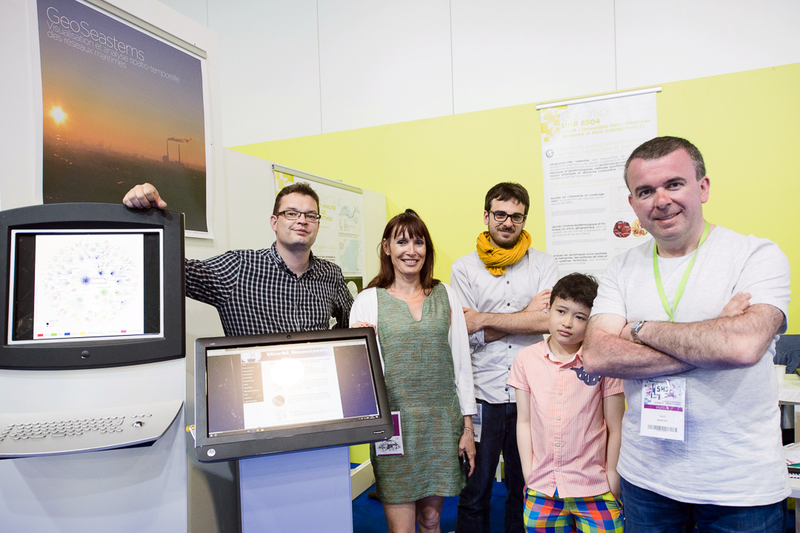 a brochure describing the project was distributed for every visitor of our stands (French version available online). March 30, 2017: Major website updates were made. A new section was created about GeoSeastems, an innovative webmapping platform under development. Information about our participation at the third edition of Innovatives SHS fair can be found in section Events, subsection Innovatives SHS 2017. Other important updates are related to Research Team and Publications sections. January 1st, 2017: We are happy to welcome on board two new members in our research team. Mattia BUNEL is Engineer in Humanities and Social Sciences. Since may 2016, he is the lead developer of GeoSeastems, a webmapping platform for interactive visualization of Lloyd’s data. Romain MARTIN work as a computer engineer for the ERC World Seastems project. Since january 2017, he's given responsibility of optimizing the document recognition system used to extract the textual content from Lloyd's periodical publications. December 9, 2016: GeoSeastems, an innovative webmapping platform, belongs in the 67 projects selected for the third edition of Innovatives SHS, the humanities and social sciences innovation fair organized by the CNRS Institute for Humanities and Social Sciences (InSHS). The third edition of Innovatives SHS will take place at Marseille, France, May 17-18, 2017. April 20, 2016: WIMAKS'16 book of abstracts, including programme final version, is online. February 10, 2016: We are happy to welcome on board three new members in our research team. Dr. Claire LAGESSE is our new Post-Doctoral Research Fellow, holding a Ph.D. degree in Physics and an Engineer degree in Geomatics. She is accompanied by Séléna PETIT, Geomatic Engineer, who works on the development of an online platform for visualization and analysis of maritime networks. Dr. Éric MERMET, Research Engineer in Humanities and Social Sciences from UMR 8557 CAMS and ISC-PIF, and expert in the fields of geomatic, spatial analysis and networks structures, joined World Seastems project as affiliated researcher. 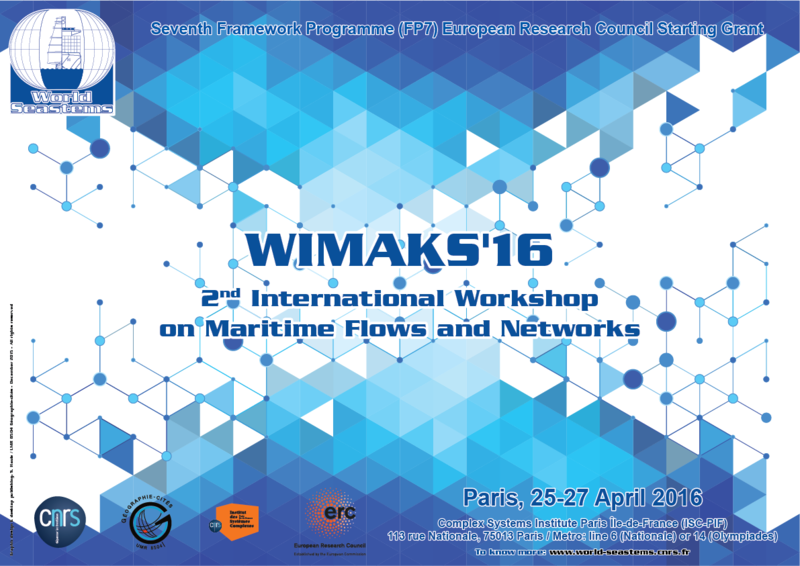 December 8, 2015: The World Seastems team is glad to announce WIMAKS'16, the second edition of its international workshop on maritime networks, devoted to the analysis and mapping of maritime flows of all kinds in space and time. This multi-disciplinary event wishes to gather worldwide scholars and experts from all scientific and disciplinary backgrounds as well as young scholars and also to bring together researchers with the port and maritime industry to share views on crucial socio-economic and logistical issues. To know more, have a look on WIMAKS'16 webpage. 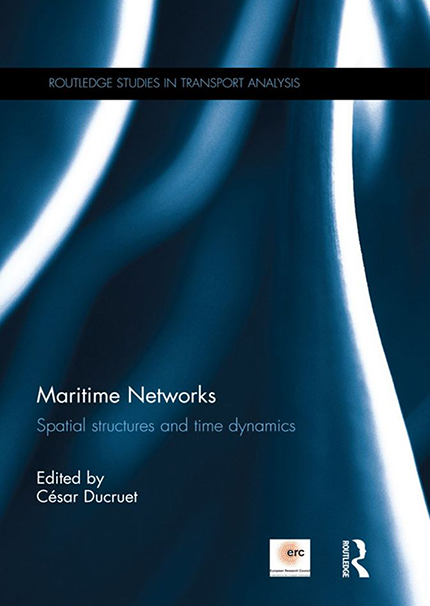 November 15, 2015: The book Maritime Networks: Spatial Structures and Time Dynamics edited by César DUCRUET, has been published in the Routledge Studies in Transport Analysis Series. A special offer discount is available here. April 24, 2015: We are happy to announce that the book Maritime Networks: Spatial Structures and Time Dynamics edited by César DUCRUET, featuring chapters co-authored by our team members is about to appear in the Routledge Studies in Transport Analysis Series. This book is an ideal companion to anyone interested in the network analysis of transport systems and economic systems in general, as well as an effective way to analyse large datasets to answer complex issues in transportation and socio-economic development. 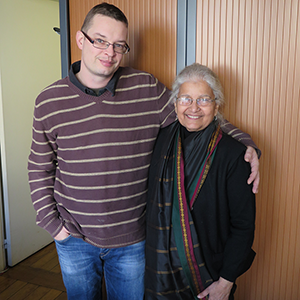 February 17, 2015: Professor Atiya Habeeb KIDWAI from Jawaharlal Nehru University (India), who specialises in the Indian port-cities has made a lovely surprise to our team and came to see us at our office. It was so nice and we are honoured that we had a chance to talk with her about our research project. January 10, 2015: It is a pleasure to welcome on board three new members of our World Seastems team. Zuzanna KOSOWSKA-STAMIROWSKA is an Economist and the first Ph.D. student in our project. She will spend next three years analysing our database in order to study the effects of shocks on the world maritime network using statistical and graph theory methods. Sylvain CUYALA is our new Post-Doctoral Research Fellow. He holds his Ph.D. in Geography and is in charge of data processing & analysis of interdependencies between urban development and the world maritime network. Sylvain will be accompanied by our new Intern, Ali EL HOSNI, who is finalizing his Master's studies in Transport and Logistics at University of Paris 4. We are really happy and lucky to have them on our team. We wish them fair winds and following seas! June 10, 2014: workshop book of abstracts with programme and practical information is available online. 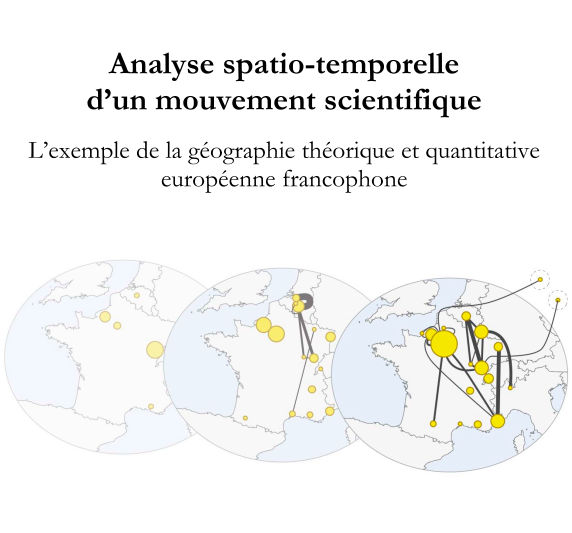 June 5, 2014: Ph.D. grant: Maritime networks as witnesses and vectors of contemporary economic and territorial changes (call for applications in English and French online). Deadline for applications: July 15, 2014. May 20, 2014: final programme of the workshop updated (online version). May 10, 2014: final programme of the workshop updated (online version). March 31, 2014: final programme of the workshop updated (online version). March 28, 2014: 1st International Workshop ERC "World Seastems": The final programme of the workshop is available online. March 6, 2014 : Inauguration of new research premises for Complex Systems Institute of Paris Ile-de-France, where WS Research Team is housed. 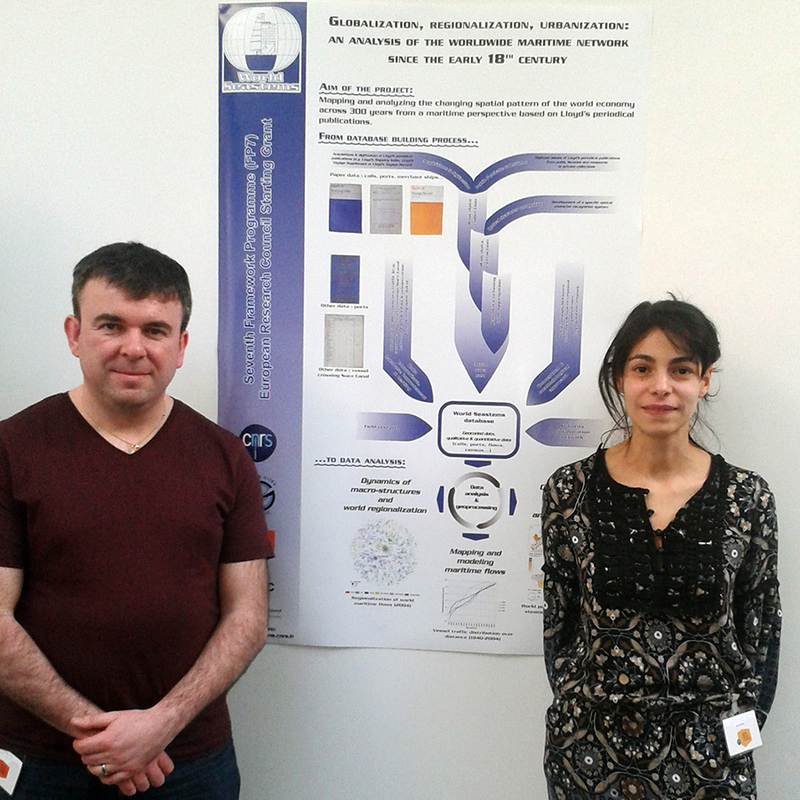 Nora MAREÏ, Sébastien HAULE with the help of Saber MARROUCHI presented the project and the World Seastems database building process. (Photograph courtesy of Marion LE TEXIER).